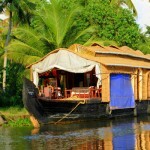 One of the Kerala’s most established destinations, Thiruvananthapuram is justifiably popular with travelers. Offering pristine sandy beaches, breezy backwaters and a lively city, Thiruvananthapuram continues to be a delight to all who visit. Also known as Thiruvananthapuram, the state capital city also takes pride in preserving her heritage and culture with both temples and monuments boasting colorful architecture. Thiruvananthapuram also offers some stunning scenery making it an ideal destination for nature lovers and adventure buffs alike. Famed chiefly for its fantastic shopping, Mahatma Gandhi Road still consist of miles and miles of malls, with most international brand names found here. 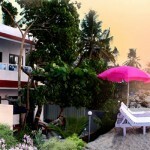 Kovalam Beach the most beautiful and fascinating beach is also located nearby the city. 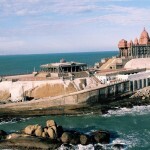 Kovalam has three beaches separated by rocky outcroppings in its 17 km coastline, the three together form the famous crescent of the Kovalam beach . The crocodile farm, Watchtower and a Jungle safari at Neyyar Wildlife Sanctuary also offers an opportunity for some outdoor activity. A particular highlight is the Zoological Park, with some lovely outdoor walks, a boat riding and an excellent restaurant. Sivagiri Mutt located here is a must see place among Hindu pilgrims. Sri Padmanabhaswamy Temple a specimen of architectural beauty also attracts many devotees. Whether you prefer all out luxury in one of the well known sightseeing or crave a small and unspoiled escape far from the madding crowds, Thiruvananthapuram has it all. 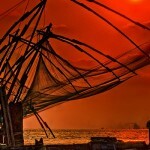 The capital city Thiruvananthapuram has pleasant climate all through the year with hot & humid simmers and chill winters. October to February is the best months to be visited and best for sightseeing. To avoid summer season would be a much intelligent options as these months are quite hot.